Jason is an associate for Galloway’s Mandeville branch, where his practice focuses on litigation on behalf of businesses and insurance companies primarily in the areas of General Casualty and Trucking & Transportation, as well as individuals in the areas of Family Law and Estate Planning & Administration. Jason is admitted to practice in all Louisiana state courts, United States District Courts in Louisiana, and the United States Court of Appeals for the Fifth Circuit. He holds memberships with the New Orleans Bar Association, 22nd JDC Bar Association, Louisiana Bar Association, and Federal Bar Association. 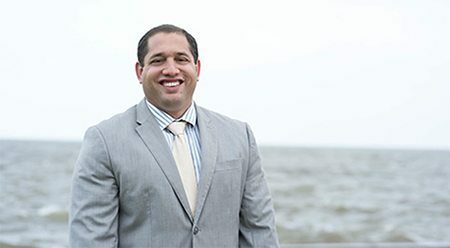 A native of New Orleans, Jason earned his Bachelor of Arts in Business Marketing from Southeastern Louisiana University prior to earning a Juris Doctorate from Loyola University of New Orleans College of Law. While at Loyola, Jason also obtained a Certificate of International Law and studied international comparative law in Europe and Brazil. In his personal time, Jason serves regularly in community development programs such as Wills for Heroes, Lawyers in Libraries, and other pro-bono events.